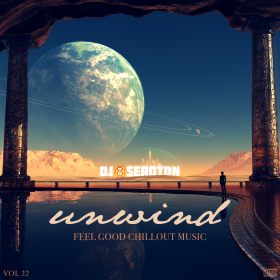 ’Unwind’ chillout mixes blend the best uplifting and melodic tunes in many different down-tempo genres to create thematic mixes, each with a certain mood and style. Take it with you. 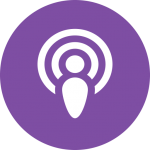 Subscribe and get new episodes as soon as they are released. Beautiful soundtracks of memorable films have always been an inspiration to my Unwind mixes. This mix features quite a few as well as a brand new mashup of a song by Keane and another by Mike Oldfield. A personality test I took revealed freakishly accurate stuff about me. It made me realize my motivations for creating these mixes which is to harness the power of music to somehow make you feel better and have a more positive outlook in life. This mix is all about that. My first mix of the year is a short and sweet one I made as a guest mix on Martin Grey’s long-running Solitudes show. I had fun putting this one together, and you’ll especially love the Coldplay’s track I mixed in for you here. In the mood for something fun and quirky? This mix is just what the doctor ordered! Filled with fun, quirky and foot-tapping melodies, it will definitely get your happiness chemicals going. Centered around our desire to sometimes “turn back the hands of the clock” and do something we missed out on doing, this mix was by far the most time-consuming 1-hour mix I’ve ever created! Includes two new amazing mashups and many more inspiring tracks. This mix demonstrates why I’m always motivated to spend hours crafting each one of these mixes. It’s when I discover two equally amazing and complementary songs that, when carefully mixed together, just seem like long lost friends that have finally found each other! That’s a great source of inspiration and pride of craft to me. 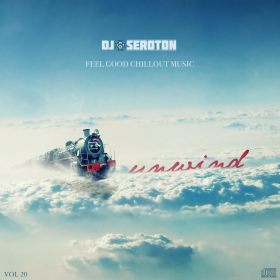 A milestone mix: this is the premier to my residency at friskyRadio CHILL channel. 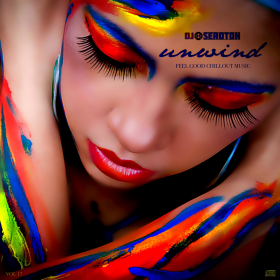 Unwind will be a monthly show and a new episode will air every 2nd Sunday of the month at 11AM EST / 7PM KSA time. 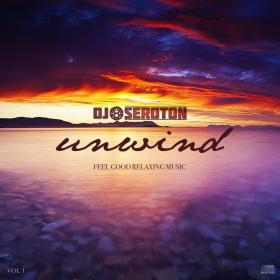 This mix builds strongly upon the Unwind mixing philosophy and marks the beginning of a new chapter in this mix series. 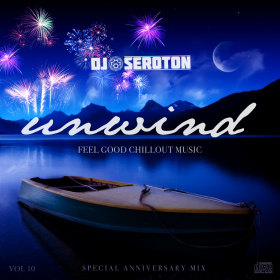 Themed around man’s deep-rooted desire for freedom, this upbeat and positive mix has been selected as Staff Pick and promoted on friskyRadio Chillout Sundays show on 7/6/2015. 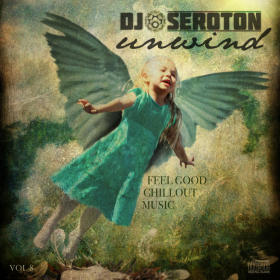 Features a host of incredible tracks by the likes of Fort Road, Aly & Fila, Coldplay, Bryan Adams and Andrew Bayer. I’m back on Mario Trunz’s Undiscovered Scenery Chillout show with a new guest mix 1 year since I was originally featured on the show. 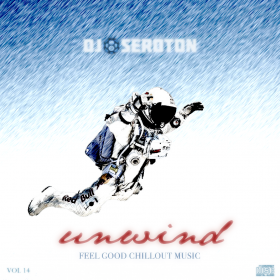 This year I’m bringing different styles of Chillout music, highlighting few of my favorite ones such as Superhuman by Juventa and Kelly Sweet, and the lovely theme song from Client Eastwood’s Gran Torino film. A new mix to start off 2015, this one contains new favorites as well as classic Chillout tracks that I personally absolutely love. Here’s to a great start for a new year. Hope yours is filled with good times and happy memories. 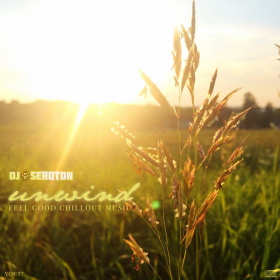 Short & lovely guest mix I did for Dave Harrigan’s Special Chill Session chillout show. Inspired by the sensation one would get when enjoying the beaches of Marseille. A somewhat mellow mix themed around city life in the night time. Features mostly instrumental tunes from classical and contemporary recordings. This mix is featured on Cham’o chillout/ambient radio show ‘Dunia’. 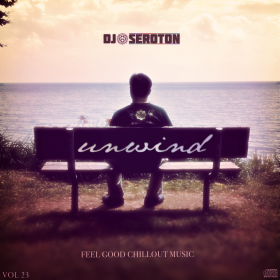 This mix is themed around feeling content with life and finding happiness and joy with what we have. It speaks to me and other people who go through life chasing one goal after another, forgetting to cherish the moment. This is a guest mix on Digitally Imported long-running ‘Solitudes’ chillout radio show, hosted by the talented Martin Grey. 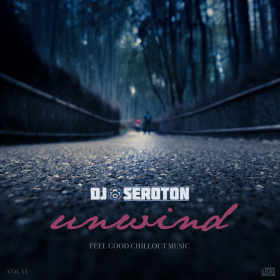 The mix has a “secluded” mellow style that resembles Unwind (Vol 12), but with a more thematic approach and vocal variety. Created exclusively for the ‘Undiscovered Scenery’ chillout show, this mix is inspired and themed around the idea that feeling like “you’re home” has more to do with who you’re with than where you are. Inspired by a dream of mine to take a cross-country trip through green fields and beautiful scenery on a quite train, this mix is the would-be soundtrack of that trip. And for first time ever, I have created a full HD music video for this mix. Inspired by the overall laid-back style of a weekly radio show called Quitemusic, this mix is my attempt at replicating this feeling through a fine selection of tunes from different down-tempo genres. This mix is released on Earth Day of 2013, and is inspired by the second track, “Gamemaster”. I’ve chosen an overall mellow and dreamy mood for this mix, which you will especially enjoy if you listen to it from start to finish in one go. 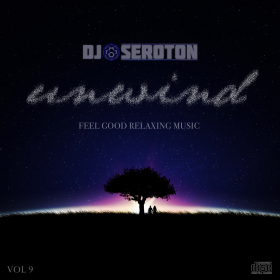 An upbeat and colorful mix that pays tribute to a style called “positive chillout” which is coined by Ryan Farish, a favorite producer of mine. In this mix, I also started experimenting with shorter tracks edits to keep the mix varied and interesting. 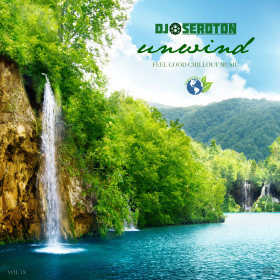 Every once in a while I like to do an upbeat energetic kind of ‘Unwind’ mix. I started this back in Vol 6 which incorporated many styles of upbeat music, and I’m taking it now a step further with this one. In addition to couple of great House and Disco tunes, this one also includes several awesome tracks with Arabic music influences. 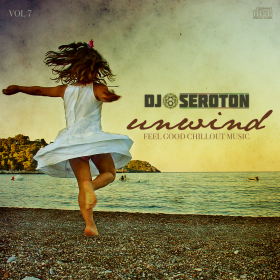 This mix was inspired by the opening track by Pete Alderton from his 2006 album “Living On Love”. It’s mostly an upbeat “happy” kind of mix that’s best played when you’re in the mood for love or you’re feeling optimistic and positive about something in your life. Dedicated and inspired by the heroic achievement of Felix Baumgartner who broke man’s record of highest jump from space at also record-breaking supersonic speed. This mix attempts to imagine, with music, what it must have felt like when the capsule door opened, revealing the glorious Earth right before his eyes. 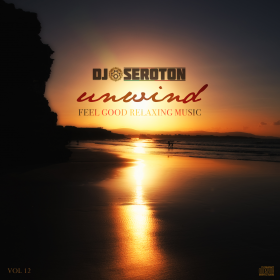 This mix is a follow up to the very popular Vol 3 of ‘unwind’ series. 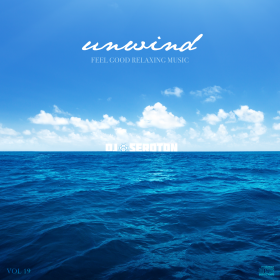 It’s a dreamy classical-influenced blend of piano compositions and mellow chillout tunes. Best played when you need to really unwind and have something that’s pure slow and dreamy playing in the background. “When everything has left you, you are alone. When you left everything behind, that’s solitude.” These words sum up what this mix is all about. Being in a temporary solitude is not like choosing to be lonely and isolated. It’s a wonderful state of disconnecting from the stress and strains of today’s fast-paced environment and focusing your energy on things that truly matter, whether it’s simply relaxing or enjoying some freedom and privacy. Dedicated to all those who have lost people they’ve loved for such a long time. It’s hard to describe in words the mixed feelings one would have about this kind of loss (no matter what the cause may be), but in this mix I tried to offer some kind of comfort and, more importantly, hope. 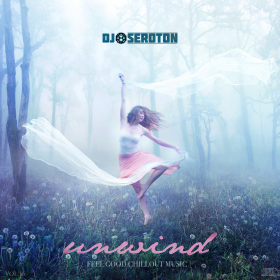 This is a special 2-hours mix to celebrate my 10th ‘unwind’ mix anniversary. It’s also my way of thanking everybody who supported this show by listening and sharing the mixes. 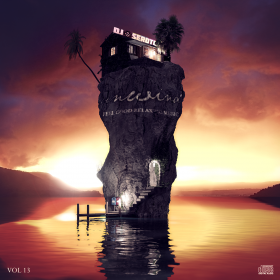 It’s got everything from upbeat drum and bass tracks to nice and mellow guitar solos. A quite and dreamy mix for all night owls like me out there. One of the highlight tracks here is the piano composition called “Road to Reality” by Day4Dream. During the nights I spent reading the biography of Steve Jobs, this wonderful track was on repeat the whole time. It was the perfect soundtrack to the biography of a great legend. A guy on YouTube posted a CGI hoax about him figuring out the science of being able to fly on his own. It looked somewhat real so I imagined what would it feel like to really be able to fly like a bird, and what kind of music would I play once I’m up there. This mix was the result. This mix is the perfect soundtrack for your next vacation! It starts off with the legendary song by the Scorpions ‘Holiday’, and then progresses through a mix of upbeat and mellow chillout tunes that are hand-picked to give you the feeling of being in a different place, filled with new experiences, culture and different sounds of music. 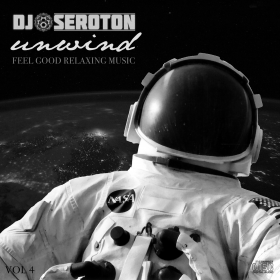 In this latest mix in the ‘Unwind’ series. 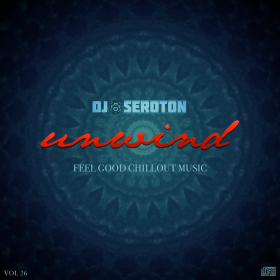 I wanted to explore slightly more upbeat and happy melodies in the chillout, jazz, swing and blues genres. The end result is a delightful mix of some truly awesome and unique tracks, including my single all-time favorite chillout tune, “Bluebird of Happiness”. 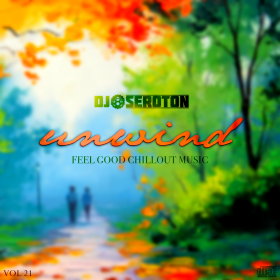 This mix perfectly showcases the uniqueness of my ‘unwind’ mixes: which is the inclusion of songs from different genres that are amazing on their own yet they complement each other to serve an overall mood or theme of a mix. It’s dedicated to my little younger brother, Ayman, who was my first little fan and is always on my tail wanting to listen to samples of new mixes before they’re released. This mix is my humble attempt at capturing the feeling of being on a two way journey to space. I wanted to convey what it feels like to spacewalk once up there and see the whole planet spinning right before you. What kind of thoughts would go through our minds during that magnificent moment? 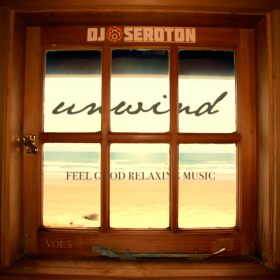 This is one of my most popular ‘unwind’ mixes. Dreamy with heavy influence from classical music, it’s dedicated to all people who dare to dream of a better world, one without the conflicts and wars that plagued our world today. When you’re listening to this mix, just set back, relax and let your imagination run free. Features some of my all-time favorite chillout tracks ever, including songs by Blank & Jones, Vargo, Jon Hopkins, and the short but wonderful ‘Stars Above The Beach’ track by Kira B.M.J, this mix starts out a bit emotional with the first 4 songs, then adopts a bit more uplifting spirit through to the end. Suitable for times when you’re feeling a bit down and emotional. It should help you release some of those emotions, relax and hopefully feel much better towards the end. 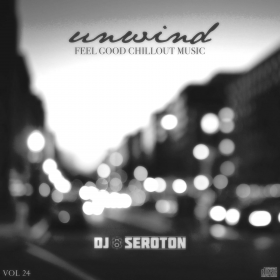 My first ‘unwind’ mix. It was released around the time a hero of mine, Steve Jobs, passed away. I was inspired by his pursuit of perfection that I spent a long time picking and perfecting the tunes in this mix to make sure it sounds amazing and flawless.